Assisting Hands Home Care provides respite care services to help family caregivers in Lombard, Elmhurst, Villa Park, Addison, IL and surrounding areas in DuPage county. Those who assume caregiving duties within their family devote long hours to caregiving that can be disruptive to their personal lives and their health. With our respite care services, our licensed caregiver will take over at scheduled times to allow family caregivers some time off. Call Assisting Hands at (630) 313-6160 to learn more about how we can help your family caregiver with our respite care services. Our caregivers at Assisting Hands Home Care will step in for the family caregiver and provide quality care while the family caregiver takes some time off. We will make sure that our caregiver understands the care needs of your loved one so they can make a seamless transition and provide the type of care your loved one is used to receiving. Working with a professional to provide respite care services will benefit the family caregiver as well as the care recipient. The long hours that family caregivers spend providing care for their loved ones can lead to burnout which will affect their mental and physical health and their quality of care. Many family caregivers also have little time to devote to their personal lives including their careers, children, and spouses. The lack of sleep and high stress that is common among family caregivers can cause physical health issues as well as anxiety and depression. Two-thirds of those who provide care for a relative report that they are in poor health themselves. Allowing the family caregiver some time off will allow them to get the rest they need to maintain their own health and have the energy to provide better care for their loved ones. It is natural for family members to assume care for their elderly loved ones, especially when they are affected by Alzheimer’s Disease and Dementia and they can no longer adequately care for themselves. This is typically beneficial for the one receiving care because they are already comfortable and familiar with their relative and the family caregiver has a good understanding of their specific needs. However, family caregivers may end up devoting much of their time to their caregiving duties which can prevent them from having a career or spending time with their immediate families. The demanding nature of the job can also lead to stress and lack of sleep which can have detrimental effects on their physical and mental health. If you or someone in your family has assumed caregiving duties for a relative who has memory loss orneeds Alzheimer’s care, call our professionals at Assisting Hands Home Care to learn how we can help. Our caregivers will provide quality respite care for your loved ones and allow your family caregiver to take some time off knowing that your loved ones are in the hands of our licensed professionals. Give us a call at (630) 313-6160 for respite care services in Addison, Elmhurst, Lombard, Villa Park, IL and surrounding areas in DuPage county. 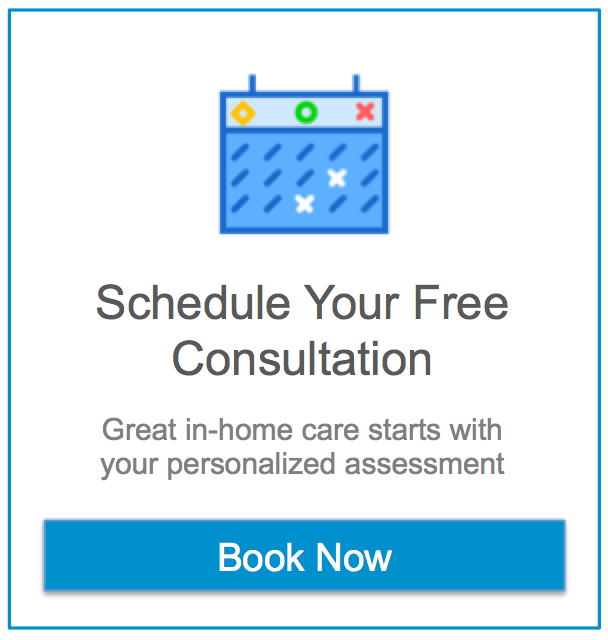 We can provide you with a complimentary in-home consultation and a care plan that fits your special requirements.